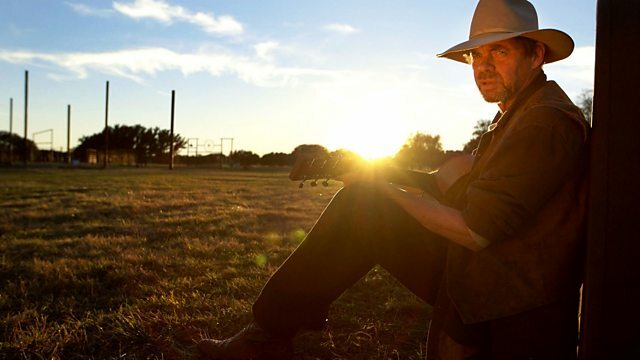 Comedian Rich Hall takes a country music journey from Tennessee to Texas to look at the movements and artists that have shaped the genre over the years. With the help of prominent performers and producers including Michael Martin Murphey, Robbie Fulks and Ray Benson, Rich explores the early origins of country music in Nashville and Austin. He visits the rustic studios where this much-loved sound was born and discovers how the genre has reinvented itself with influences from bluegrass, western swing and Americana. Rich also explores how the music industries differ between these two cities and how they each generated their own distinct twist on the genre, from cosmic country and redneck country to the outlaw artists of the 1970s. Through Working Dog, a three-minute self-penned soap opera about a collie dog, Rich illustrates how different styles can change. As he unearths the roots and inner workings of country music, Rich finds it's more than just music - it's a lifestyle. The very best in country. Celebrating this classic music genre.